Steve Arveschoug (pronounced “Arveskow”), is the Executive Director of the Big Sky Economic Development Authority and Economic Development Corporation. In that role Steve leads the economic development efforts for Yellowstone County and the Billings’ community. Before relocating to Montana in 2008, Steve was the Executive Director of the HARP Authority in Pueblo, Colorado, directing a $30 million downtown redevelopment project and a non-profit capital-improvement foundation. Steve has 10 years of experience in water resources development, managing two of Colorado’s largest water conservancy districts. He also served two terms in the Colorado Legislature as an elected State Representative. Steve holds a Bachelor of Science Degree from Montana Tech and a Master of Public Administration Degree from the University of Colorado. Steve’s wife, Chris is a registered nurse and a native of Anaconda, Montana. Jim has a BS from the University of Alabama and a MBA from the University of South Alabama, and is a Certified Public Accountant (TN-inactive). His experience roster includes positions with Arthur Andersen & Co, Federal Express Corporation, and Big Sky Airlines. Mary Lou supports the Small Business Development Center and serves as BSED’s Director of First Impressions. Wearing many hats, Mary Lou also supports the organization’s Program Directors on various projects throughout the year. Melanie Schwarz works with our growing list of companies who invest in the work of our organization by pledging membership dollars to the Big Sky Economic Development Corporation. Melanie is a graduate of Montana State University Bozeman with degrees in Marketing and Management. She is active with the Montana Ambassadors and numerous local boards and councils. Melanie has significant marketing and relationship building experience having worked for The Center for Children and Families, Montana State University Billings and owning her own advertising agency. 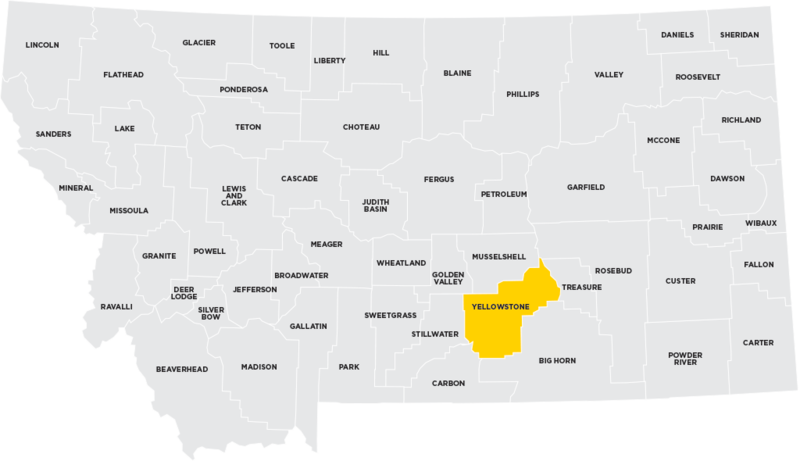 Dianne oversees the Community Development team working on key Community Development and planning projects throughout Yellowstone County. She consults with local non-profit organizations and facilitates collaborative community projects which contribute to successful business operations, job creation, and desirable quality of life. Dianne has over 15 years experience in grant and project management, grant administration, grant writing and research, Federal and State compliance, fund development, and marketing. Dianne holds a Masters in Management Degree from the University of Mary, as well as, a Bachelor of Science Degree from the University of Maryland, and an Associate of Arts Degree from Montgomery College. Patrick holds a Master of Public Administration Degree from Montana State University Billings and Bachelor of Art Degrees in Political Science and Legal Studies from Minnesota State University Moorhead. He currently serves on the City of Billings/Yellowstone County Planning Board representing Ward V of Billings. As a member of the International Economic Development Council, he is continuing his professional development training to strengthen economic knowledge and support current and future community endeavors. Originally from Minnesota, Patrick enjoys the beautiful Montana landscape and engaging in the local vibrant economy. He works to expand the impact of community development and provide greater outreach services to rural Yellowstone County. Thom graduated from the University of Montana with degrees in Finance, Economics and Political Science. Prior to joining Big Sky Economic Development, he owned a business in Chinook, Montana, where he also coached the high school tennis team. Thom is happy to be back in Billings and excited by its vitality and its potential. Allison holds a B.S. in History and Political Science from Rocky Mountain College. 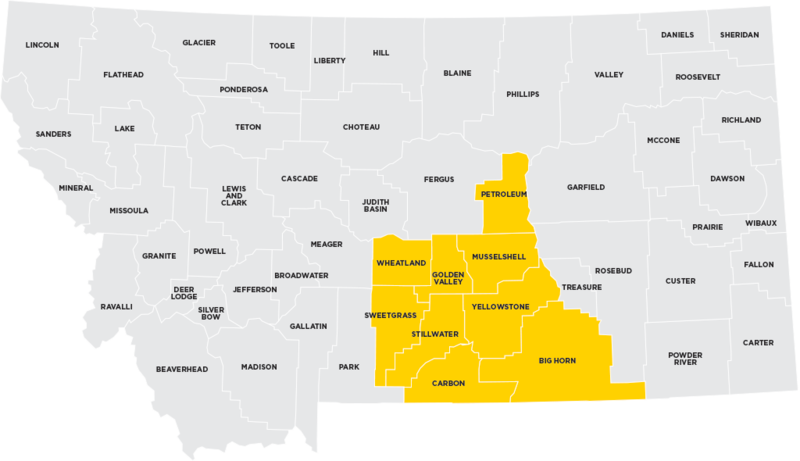 Allison works directly with business executives and corporate site selection consultants to locate operations in Yellowstone County, providing proposals, incentives and information to help them make informed decisions. Corbyn previously worked in BSED’s Community Development department. Originally from Fort Collins, Colorado, Allison moved to Montana for the great quality of life and small town feel with metropolitan amenities. With a BA in History, a Master’s Degree in Public Relations, and a certification in Brain-Based Coaching Karen Baumgart brings a multifaceted perspective to her work. Born, raised and educated in Montana, Karen is committed to the advancement of the Big Sky state. Karen was previously employed as a coach and facilitator for Elation, Inc.-a start-up company in Billings dedicated to organizational performance. Prior to, she served as the Immigration Specialist for the Office of International Studies at Montana State University-Billings. By combining the different aspects of her education and professional experience, Karen has the perspective and insights that elicit enthusiasm for innovation and excitement for action. Brandon Berger has a BA in Business Finance from MSU-Bozeman. He is the Director of Business Finance. Prior coming to Big Sky EDC, he worked for 12 years for Wells Fargo in Billings in Trust Tax, Retirement Plan Administration, and Credit Analysis. He is a board member of the Billings Downtown Exchange Club. Sherry is located in the Big Sky Finance’s Helena office and specializes in the SBA 504 loan closings. She started with Montana Community Finance Corporation in 2000 and joined the Big Sky Finance team as part of their merger in 2017. Sherry enjoys working with all types of business owners around Montana taking the next step in buying their buildings. Jo Ann Jones has a BS in Business Administration, Finance and Management from the University of Montana. Prior to joining the Big Sky Finance team, she was a Portfolio and Servicing Manager/Underwriter for over 15 years with Montana Community Finance Corporation with previous commercial lending experience with large and small commercial banks throughout the state of Montana. Jo Ann has volunteered in a variety of service organizations during her career and is currently on the Family Selection Committee for Helena Habitat for Humanity. Rosalind Dix is a government contracting advisor for the Procurement Technical Assistance Center (PTAC). Rosalind has a Bachelor of Arts in Hospitality Business Management from Washington State University and will graduate with her Masters of Science in Finance in August 2018 from Northeastern University. She has a background in hotel management and has held supervisory and management positions in Portland, Seattle, and Billings. Rosalind has also worked in commercial financing for GE Capital and Bank of Montreal where she was an Insurance Claims Analyst. Rosalind is originally from Joliet, MT. After living away for several years to pursue her education and career she moved back permanently in 2013. Outside of work she loves to bake delicious treats and cook interesting meals. She also tries to spend as much time hiking in the mountains as she can. Rosalind enjoys serving the community and helping small businesses grow. Kathy supports the Small Business Development Center, providing clients with customer service, intake requests, scheduling appointments and general startup questions. She is the first point of contact for clients and provides full administrative assistance to the Director. Kathy joined Big Sky Economic Development in 1999. Over the years she has worked with the SBDC program, PTAC, and the Business Expansion and Retention program. She received her certification as a Certified Procurement Professional in February 2015. She now supports PTAC and SBDC programs–what she likes best! Born in Wolf Point, Kathy is a fourth-generation Montanan. She has three children, five grandchildren and two “catkids.” Kathy and her husband Brandon enjoy taking road trips in their spare time. An enthusiastic photographer, Kathy usually totes a camera on any outing. Dena Johnson is the Regional Director for the Small Business Development Center at Big Sky Economic Development. She is also the oversight Manager for the Business Expansion and Retention (BEAR) team. She has served as the Acting Executive Director for Big Sky Economic Development, the oversight manager for the Veteran’s Business Outreach Center and is a leader in developing small business in the Region. She is the lead organization strategist for a plan (in partnership with Zoot Enterprises, Rocky Mountain College and Montana State University Billings) to develop expanded entrepreneurship space and programming for innovators to access resources, training, mentorship, capital and their attainable pathway to commercialization. She holds a Master’s in Business Administration with an emphasis in Leadership, a Bachelor of Science in Business Management, is an accredited small business consultant (AASBC), a certified Economic Development Finance Professional (EDFP) a certified Business Incubation Manager (BIM) and a certified NxLevel trainer. Some of her accomplishments include: co-author of the TriStart Matrix, recipient of the 2015 40 under 40 award, was named Yellowstone Valley’s Enterprising Woman in April of 2015, was named America’s SBDC State Star in 2016 and was featured as one of Yellowstone Valley’s 10 women building up community in Billings in 2017. She is instrumental in developing entrepreneurs, and existing (for profit) business owners as they plan, expand and thrive. Her customized strategies exceed the needs of companies at all stages. Lorene Hintz is a Business Advisor for the Small Business Development Center at Big Sky Economic Development. She also manages the Business Expansion and Retention (B.E.A.R.) 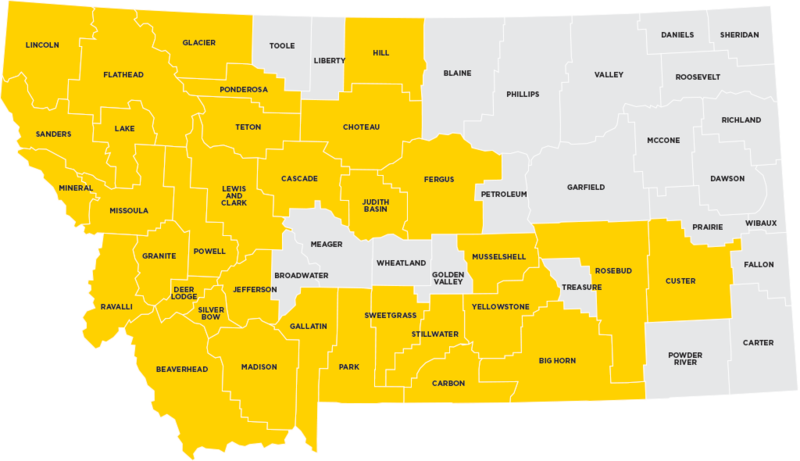 program and the Big Sky Trust Fund Job Creation and Worker Training grant assistance programs to provide capital and workforce training to basic sector businesses. As an Accredited Business Consultant, Lorene is a passionate advocate and champion for small business owners and entrepreneurs. She provides one-on-one consulting, business technical and marketing assistance, financials analysis, business planning, and facilitates training workshops. She was named America’s SBDC State Star in 2010, is a member of Montana Economic Developers Association (MEDA), Certified Nxlevel Trainer, Profit Mastery Consultant, Accredited Business Planning Advisor, Intuit QuickBooks Trainer, Certified Core Four Trainer, and is a Certified Economic Development Finance Professional (EDFP) through the National Development Council. Lorene strives to recognize needs, promote opportunities, and inspire growth in start-up and existing businesses.